ร้าน Le Grand Blue เกาะพีพี 0.05 Km. tonsai seafood restaurant 0.23 Km. Ao Loh Dalum 0.36 Km. Koh Phi Phi Don 0.46 Km. 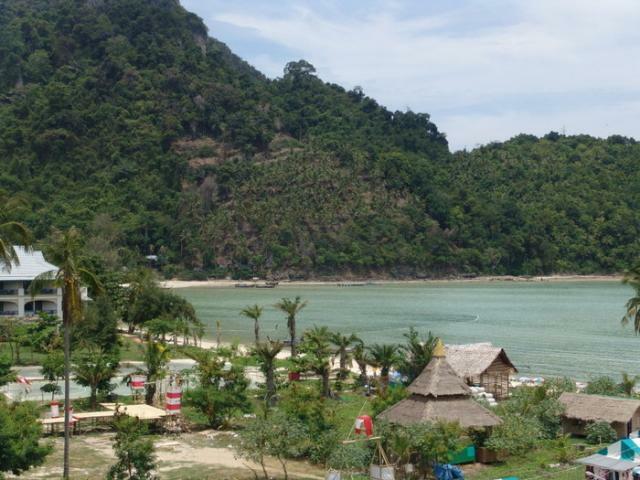 Yong kasem Bay 1.13 Km. Phi Phi Island View Point 1.13 Km. Phi Phi Le 4.72 Km. Laem Tong Beach 5.60 Km. Wai King Cave 5.92 Km. Loh Lana Bay 6.26 Km. Koh Bida Nok and Koh Bida Nai 8.92 Km. Koh Mai Phai Bamboo Island 9.05 Km. 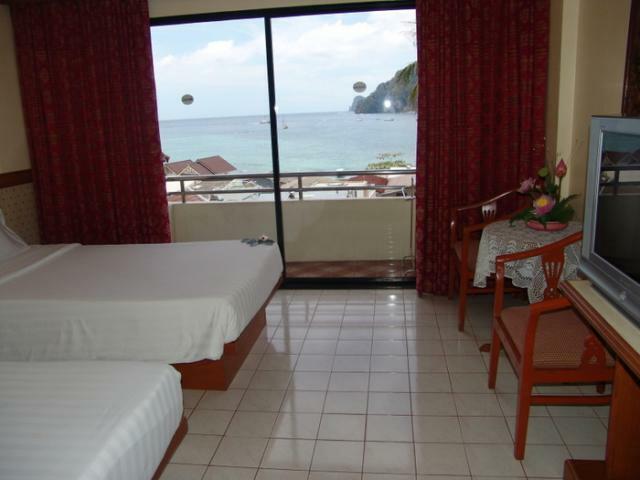 Only one hotel in Phi Phi Island, Phi Phi Hotel offers a comfortable air-cond room with seaview and garden view. 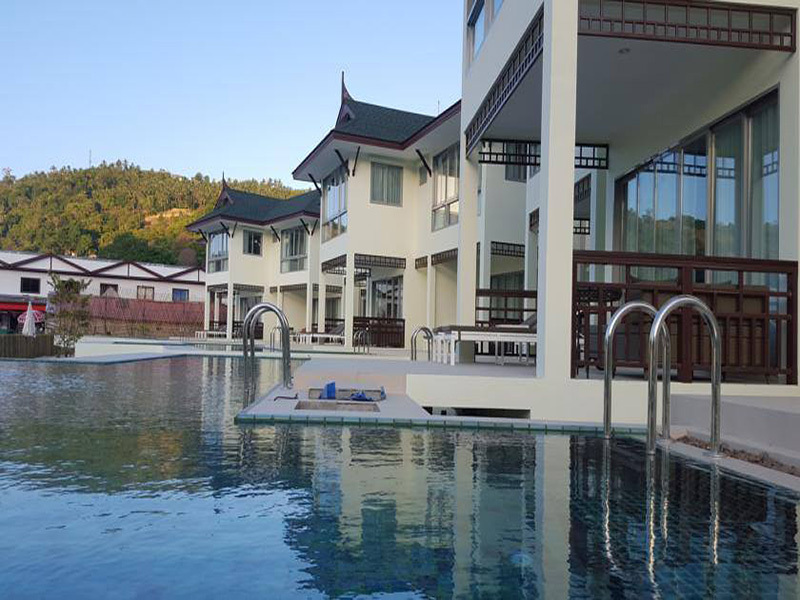 Swimming pool, internet and ferry ticket are available. The Hotel is situated at the heart of the island, less than 1 minute by walking from the pier. 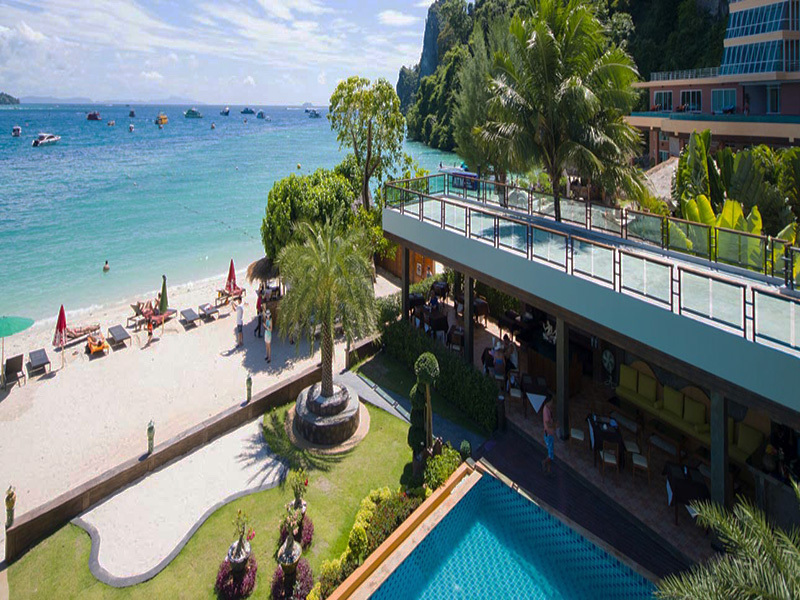 Situated on Phi Phi Don Island, P.P. Casita Hotel is an ideal place for both honeymooners and travelers alike. It offers an idyllic romantic setting and is close to the village. 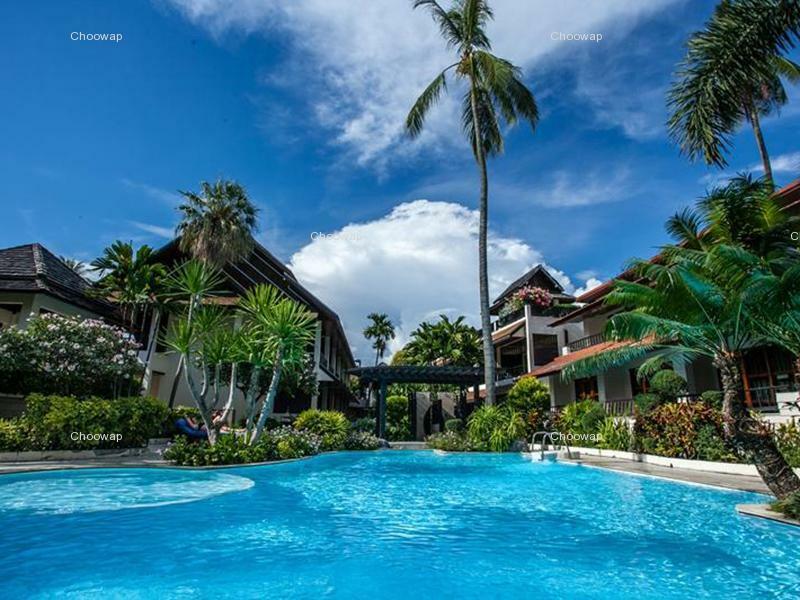 All 110 bungalows, with either air conditioning or ceiling fans, are set in a beautiful landscaped garden and are only 60 meters from the Loh Dalum Beach. Hot water is also available here 24 hours a day. Take advantage of the impressive buffet breakfast at the hotel before stepping out onto the beach or exploring the village nearby. P.P. Casita Hotel offers a range of comfortable and tastefully decorated bungalows, all fitted with modern facilities with a range of prices to suit all types of budget. To book your vacation at P.P. 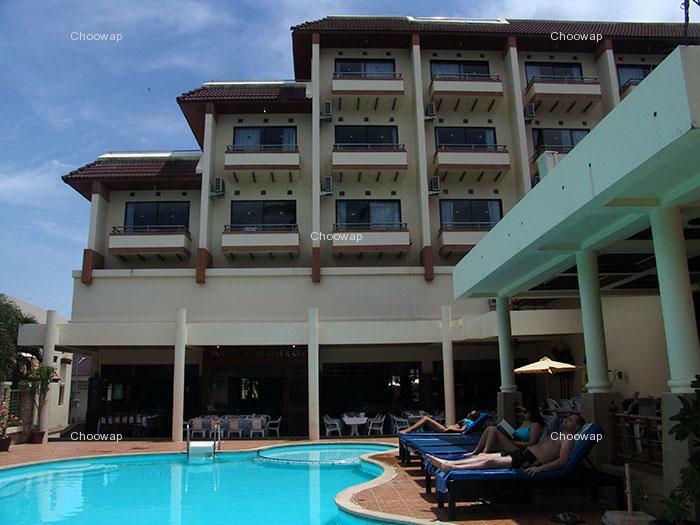 Casita Hotel, simply use our secure online booking form. read more.. 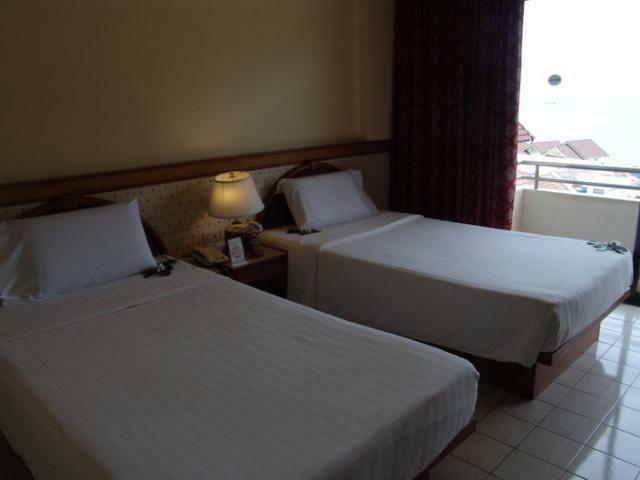 This hotel is at the center of the beach, very convenient location to both beaches. 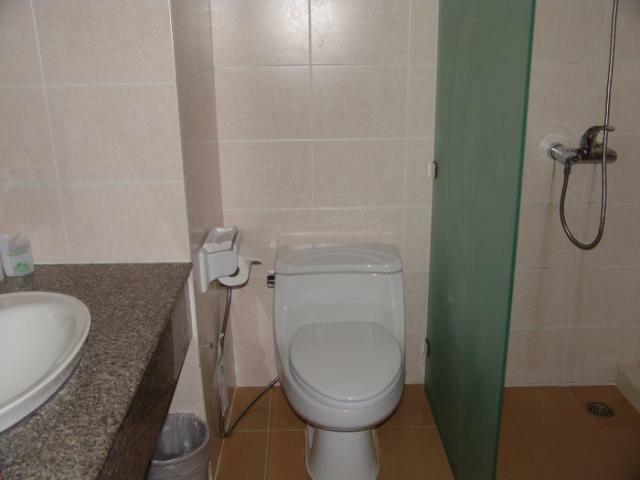 The staff is very nice as well ,Room was large, clean and had great bathroom. poor performance staff but location is nearby center. 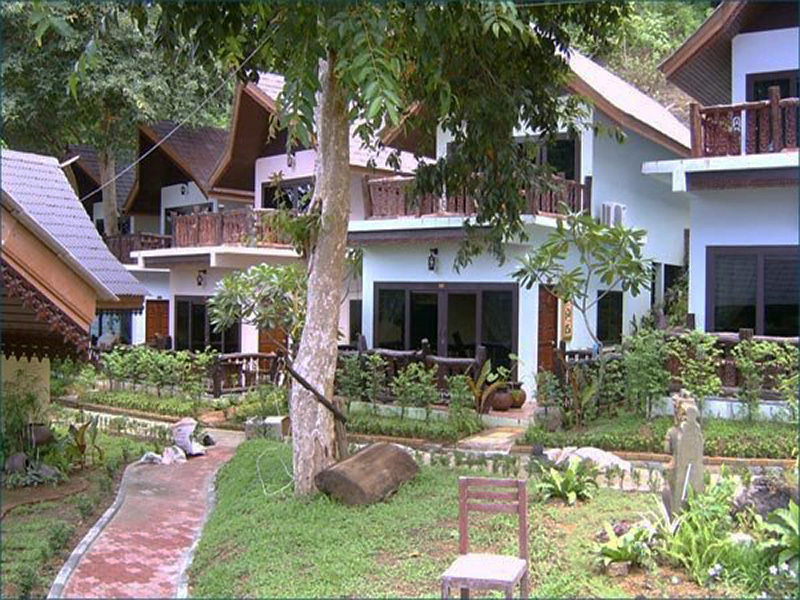 Phi phi hotel is one of the best on phi phi island. We just love the hotel. (And thanks to Wuth at thai-tour.com for the booking help).